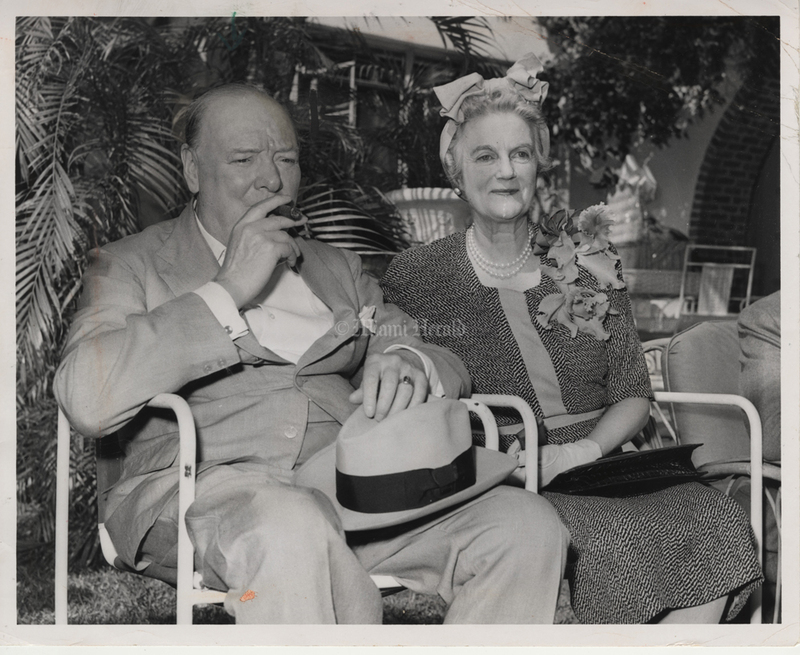 After Winston Churchill led a battle-scarred Great Britain through the ravages of World War II, he sought sun and tranquility — and found them in Miami. On doctor’s orders to escape England’s winter, he vacationed here on New Year’s Day 1946, about eight months after the war in Europe ended. 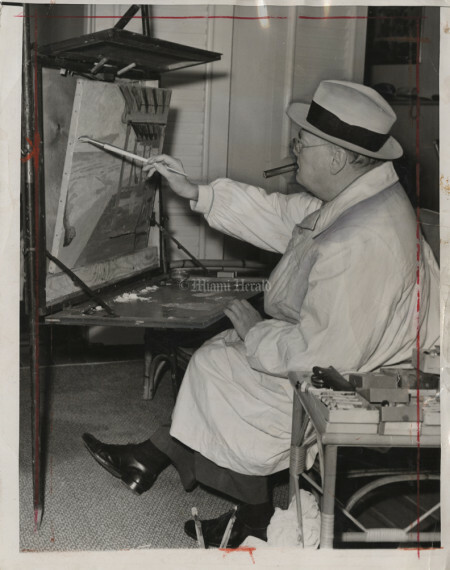 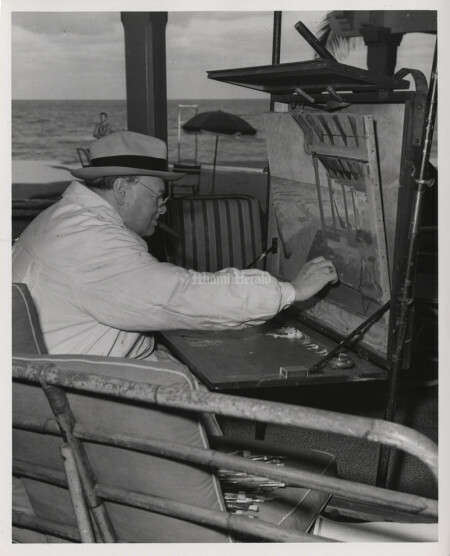 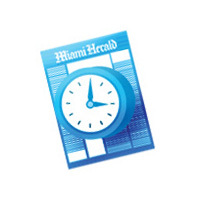 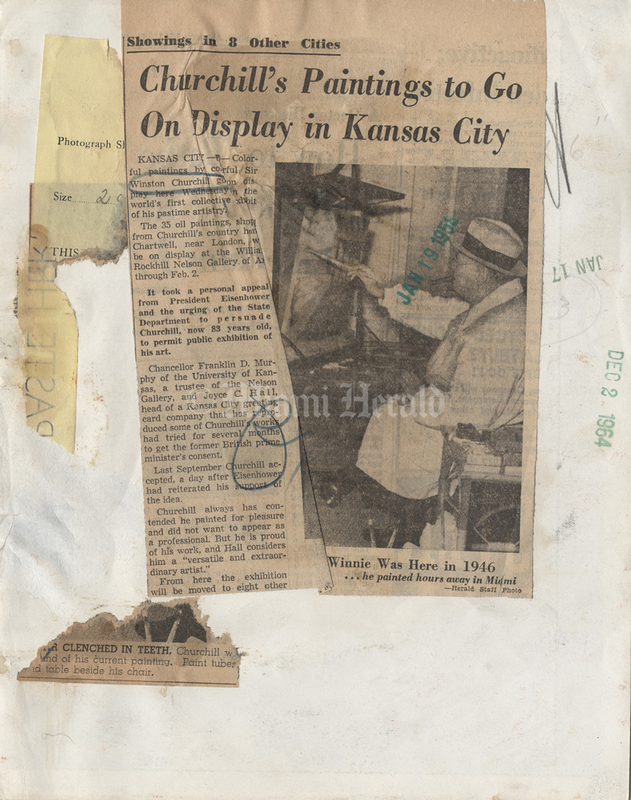 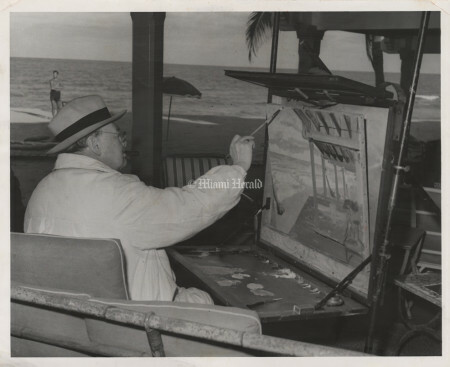 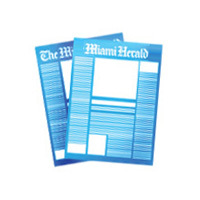 While here, he painted scenes of the beach and visited Hialeah Park to watch the races. 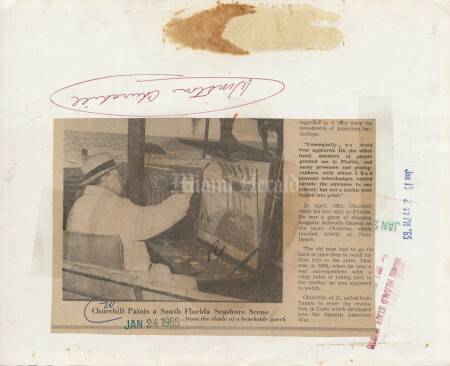 In February 1946, Churchill received an honorary degree from the University of Miami. He accepted it before an audience of 17,500 at what was then called the Burdine Bowl, later renamed the Orange Bowl. 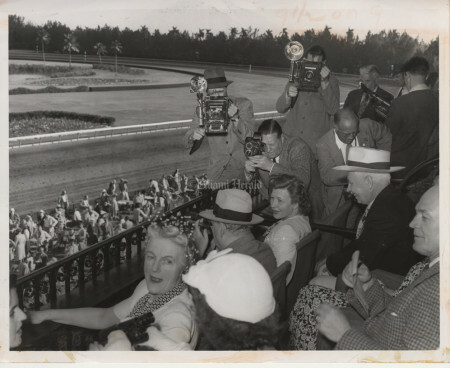 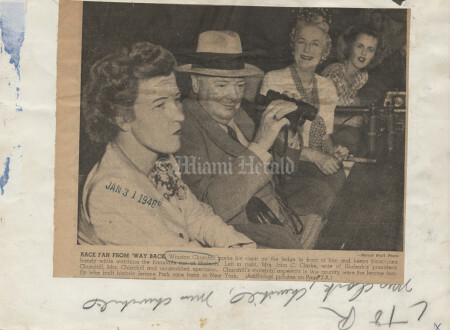 1/30/1946: Bill Kuenzel/Miami Herald Staff -- Mrs. Winston Churchill looks over her shoulder as Winston Churchill looks through binoculars at Hialeah race track. Press photographers hover. 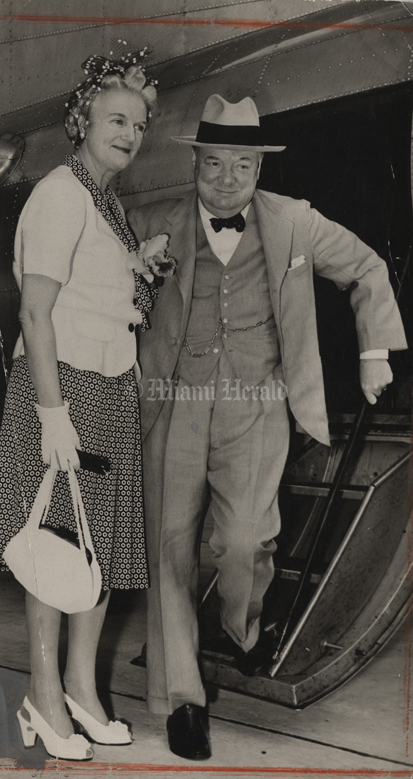 1946: Bill Kuenzel/Miami Herald Staff -- Sir Winston Churchill and, his wife, Clementine Churchill. 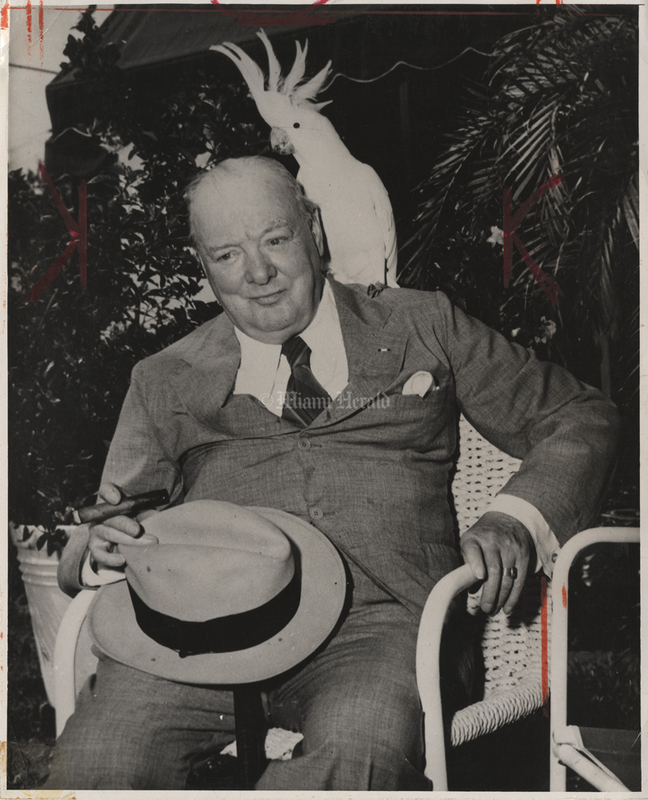 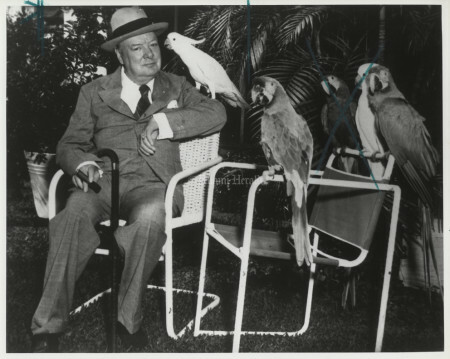 Sir Winston Churchill at Parrot Jungle. 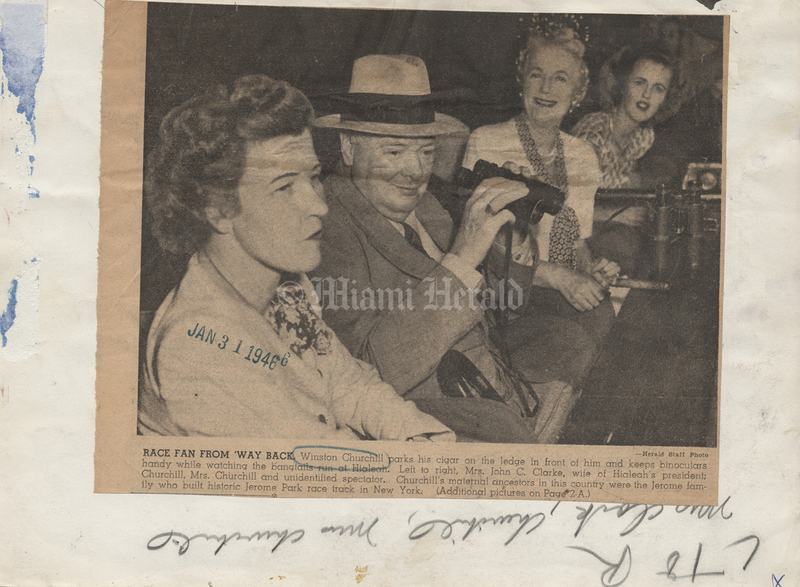 Race fan from way back, Winston Churchill parks his cigar on the ledge in front of him and keeps binoculars handy while watching the bangtails run at Hialeah. 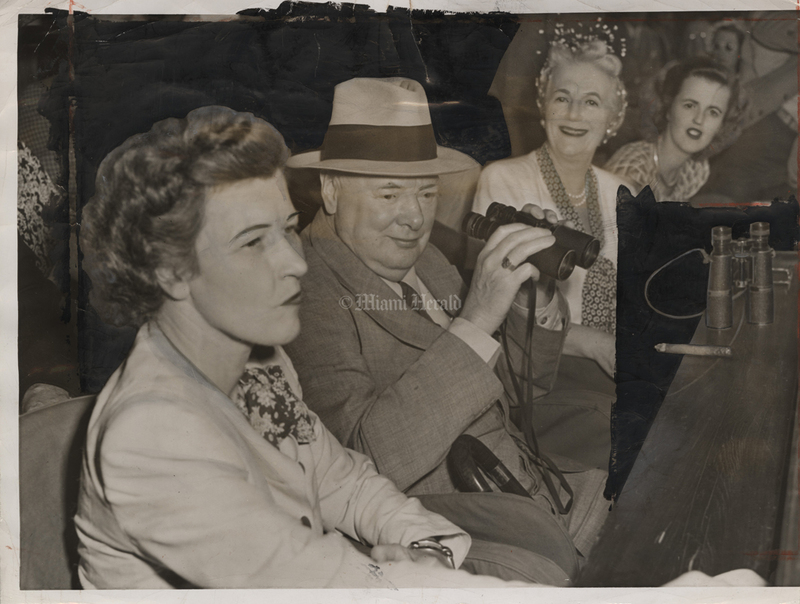 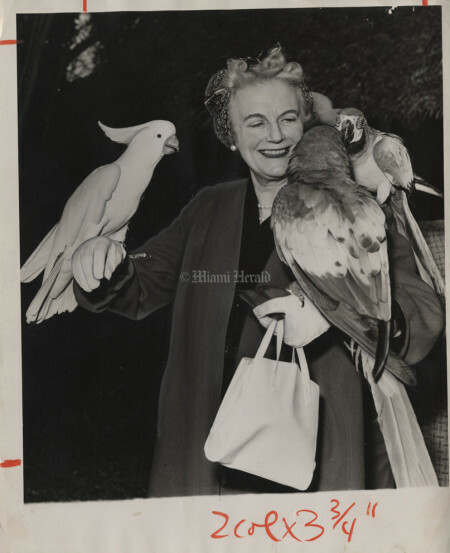 Left to right, Mrs. John C. Clarke, wife of Hialeah's president; Churchill, Mrs. Churchill and unidentified spectator. Churchill's maternal ancestors in this country were the Jerome family who built historic Jerome Park race track in New York. 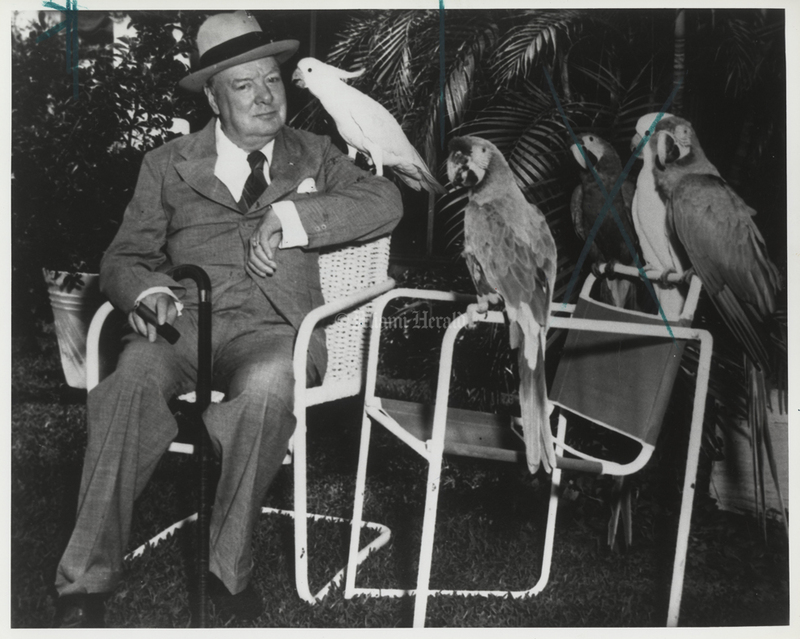 Sir Winston Churchill with butch, King, Bunny, Duke and Queen at Parrot Jungle.